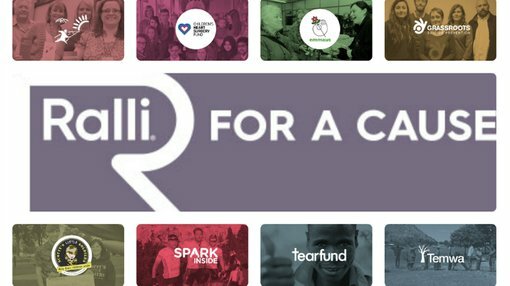 Fresh from adding eight new charities to its UK app, Ralli, Activistic (ASX:ACU) announced today that it had appointed Mr Howard Lake, the owner of the world’s first web resource for professional charity fundraisers to its UK Board of Advisors. Activistic expects that Mr Lake’s expertise and his website fundraising.co.uk will provide significant value for its UK operations. Mr Lake will help the company roll out the Ralli app in early 2016. Ralli is a mobile phone app, similar to the company’s US Veteran’s Call app that facilitates micro donations to help charities re-engage their donor bases through a monthly recurring channel. The app, which will be the UK’s first micro donations app, also serves as a new donor acquisition engine. Earlier this month, ACU signed up eight charities to the Ralli app including Children’s Heart Surgery Fund, Scotty’s Little Soldiers and Grass Roots Suicide Prevention. Mr Lake, who has been running fundraising.co.uk since 1994, aims to help improve the effectiveness of charity and non-profit fundraisers by using new technology. ACU’s app seems the perfect fit. Mr Lake will now work closely with Activistic to raise the profile of the new unique micro-donations and engagement platform in the UK charity sector. Mr Lake has extensive contacts and a long history in the sector having worked for Oxfam, Afghanaid and Amnesty International UK. He is also of the first ever book about online fundraising: Direction Connection’s Guide to Fundraising on the Internet.